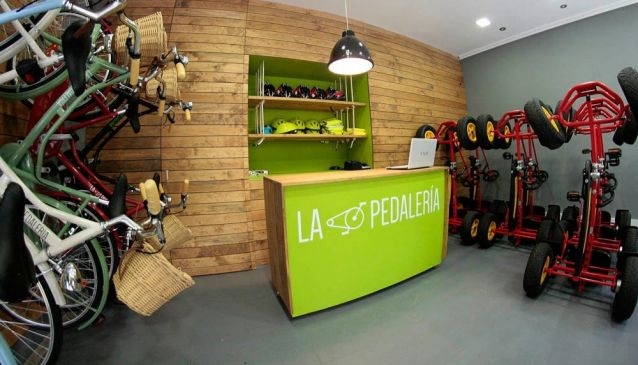 La Pedalería is a newly established company dedicated to rental pedal karts and danish style bikes. We give our customers the opportunity to learn Bayona as had never done before. Our philosophy is based on trhee fundamental pillars: sustainability, active tourism and family entertainment outdoors. With our services we try to promote a healthy tourism, environmentally friendly and allows the interaction betwen users. We provide our customers with the materials necessary to create their own experiences, emotions and unforgettable memories in Bayona, a place with a unique charm. So you know, tourism and fun go smoothly. We hope your visit.